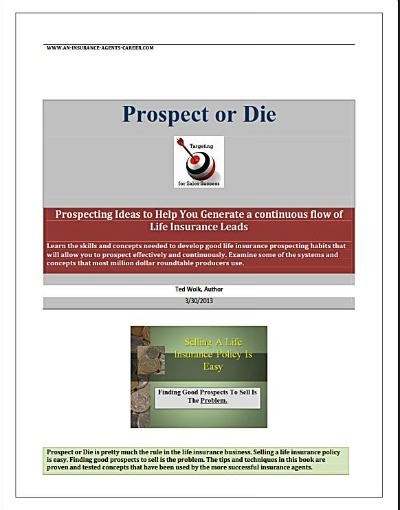 An e-book developed for insurance agents looking for prospecting ideas. A unique e-book developed for insurance agents needing help with prospecting and generating sales leads. These proven and tested ideas, techniques and systems, if used, will help you with your prospecting problem. Order your copy today. Click here to see a summary outline of this e-book.